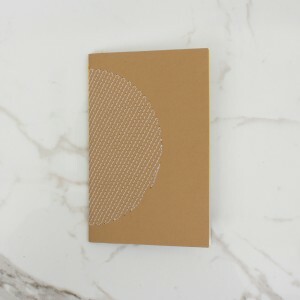 Made in Britain using the renowned GF Smith stock with saddle stitched seams, these 32 page notebooks are striking as they are beautifully made. 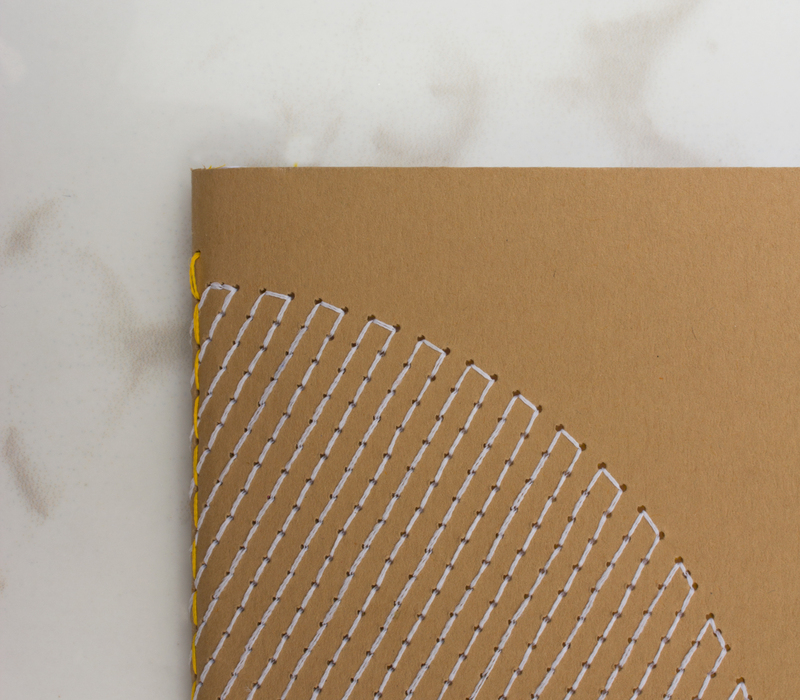 The embroidery on the cover provides a tactile surface and shot of accent colour, complimented by the interior. 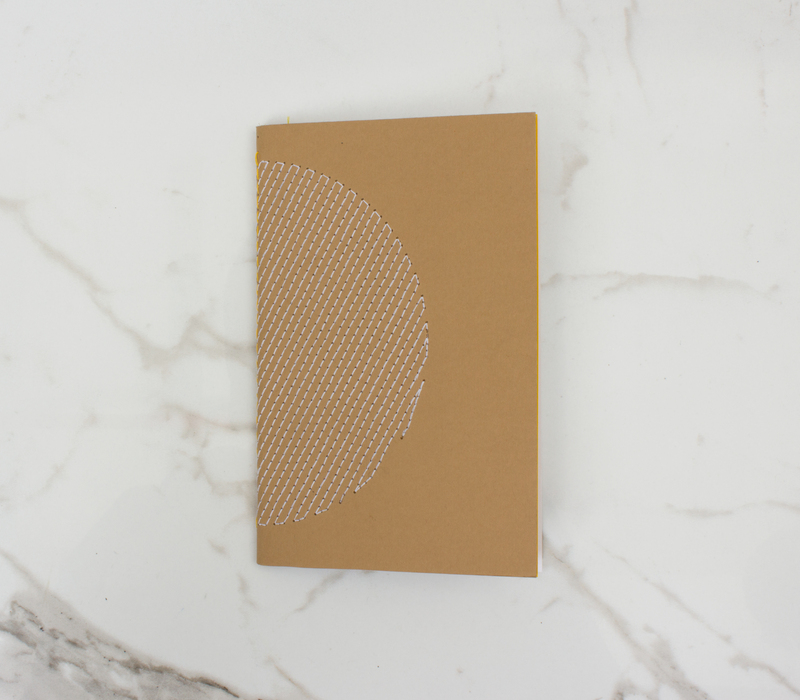 32 white blank pages. Materials: Recycled cover, FSC certified paper. 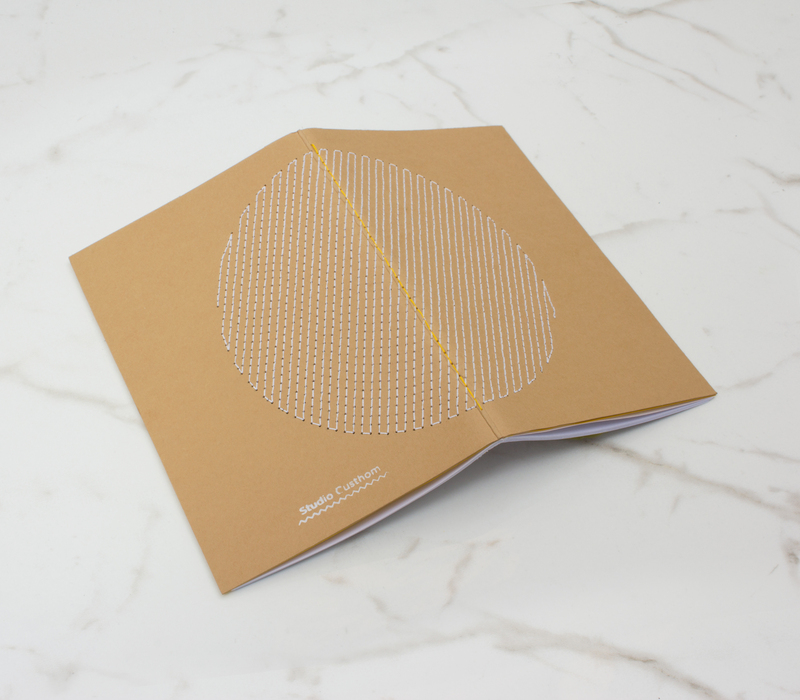 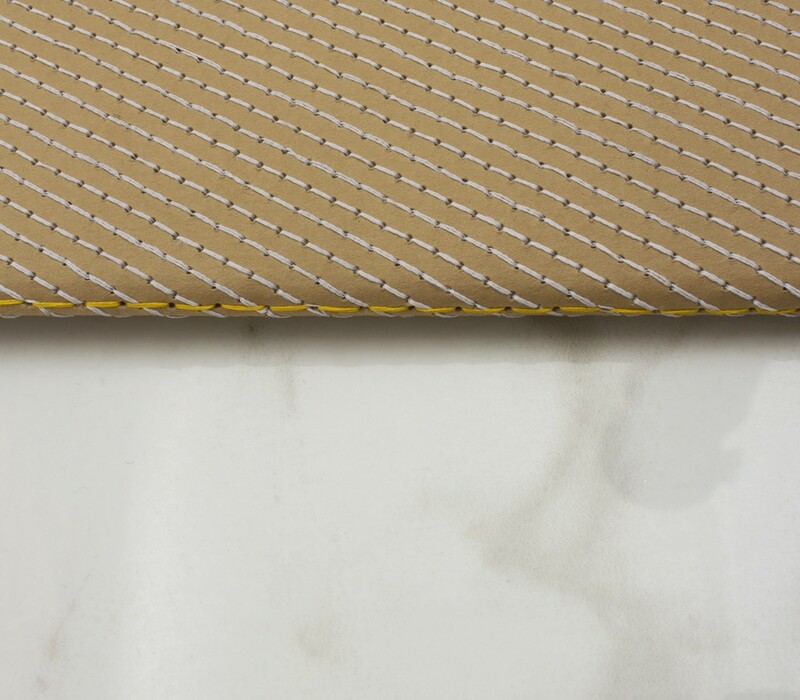 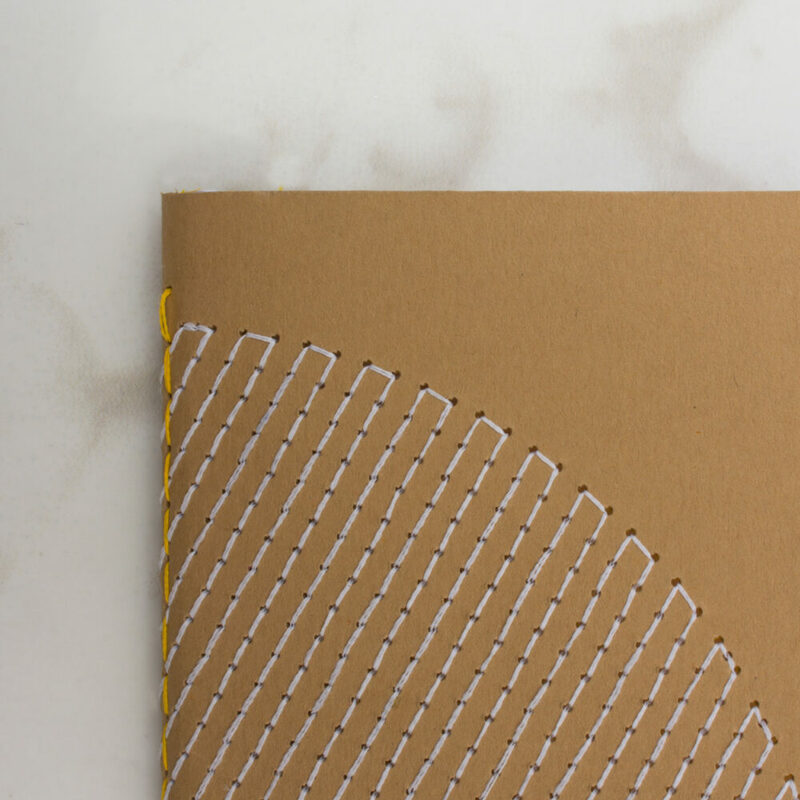 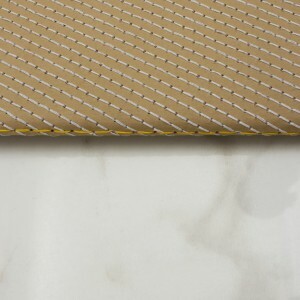 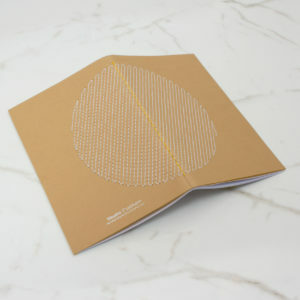 Colours – Manilla cover with white stitching , yellow thread binding and inner sleeve.